We are happy to accept boys and girls from the age of 2 1/2 into our Pre-school Dance classes. Once children have settled in to this class they learn how to take instructions from the class teacher, how to take turns and work in groups. Through favourite nursery rhymes we sing and dance and encourage the children to develop their imagination and co-ordination skills. Although the atmosphere is relaxed the children do learn how to work in a disciplined manner. This class is used as a base for any style of dancing as it doesn’t follow any specific dance technique. Pupils should expect to do 18 – 24 months in each class, although pupils who have poor attendance may spend longer in each grade while those who show exceptional talent and commitment may progress at a quicker pace. Pupils who show exceptional talent and commitment may progress quicker. Due to our show which is held every 2nd year we work on a 2 year programme for each level.Most pupils attend all three dance styles but it is possible to enrol for one or two classes. Tap grades are structured differently and pupils may find they are in a higher grade for modern and ballet than they are for tap. For students at secondary school we offer a range of classes. Pupils should expect to do around 18 months in each class, although pupils who have poor attendance may spend longer in each grade while those who show exceptional talent and commitment may progress at a quicker pace. Pupils who show exceptional talent and commitment may progress quicker. 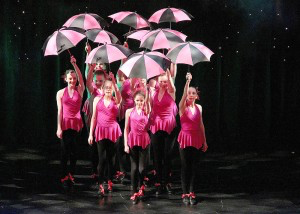 In the interest of health and safety, we consider that senior classes have to be held in purpose built dance studios, with specialist flooring, wall barres and mirrors – Monument Dance Centre offers a safe and pleasant environment.